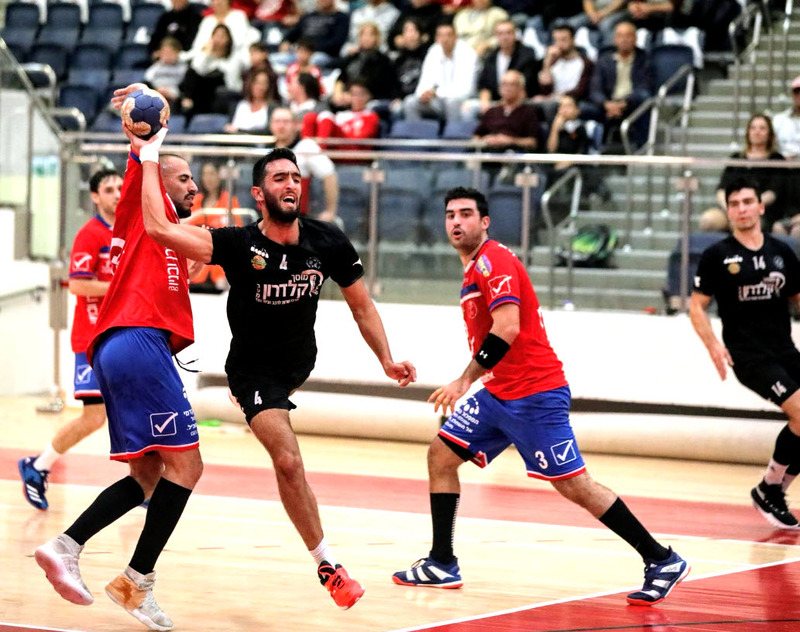 The Israeli handball champions and cup holders, Hapoel Rishon LeZion, has an injury problem and without two foreign players, Novak Boskovic and Savo Mester, and the Israeli pivot, Shai Natan, they host the suprising upcomers, H.C Beer Sheba. The players of Idan Maimon started the match very well. 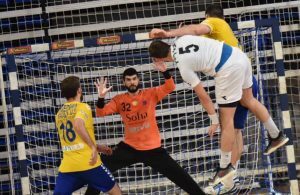 The Bosnian goalkeeper, Pedja Dejanovic, stopped Beer Sheba on 4 goals in the first 18 minutes and led Hapoel to 11:4. The upcomers came back to 21:20 in the 45th minute and the match was close until the end, when Hapoel won 29:26. The local rival and the leaders, Maccabi Rishon LeZion, beat Hapoel Kiryat Ono 41:30. In this easy match, Amit Stelman scored 9 goals. In another match, Hapoel Ashdod put themselves close to Maccabi Rishon LeZion after glorious 27:24 on SGS Ramat Hasharon who stay in the 7th place only. In the bottom of the table, Maccabi Kiryat Motzkin collected 2 important points with 34:32 on H.C Holon and Hapoel Ramat Gan stayed in the last place because of 21:23 for Ironi Rehovot. Very hot match was in Herzliya while Bnei Herzliya met H.C Ness Ziona. From Ness Ziona the head coach, Omri Maimon, and the Bosnian Elis Memic, got a direct disqualification and from Herzliya, Yossi Appo, suffered a red card after three 2 minutes. In The end, Herzliya won 39:37. On Friday: 14:00- Maccabi Kiryat Motzkin – H.C Ness Ziona, H.C Beer Sheba – Hapoel Kiryat Ono, 14:45- Hapoel Ashdod – Hapoel Ramat gan, 15:45 – H.C Holon – SGS Ramat Hasharon, 16:00- Maccabi Rishon LeZion – Bnei Herzliya, Ironi Rehovot – Hapoel Rishon LeZion. ← Previous Story Japan 2019: Brazil and Argentina are qualified! Next Story → Vote for NBSC World Female Handball defensive player 2018?